Today we’re pleased to present another in our series of expert advice blog posts. 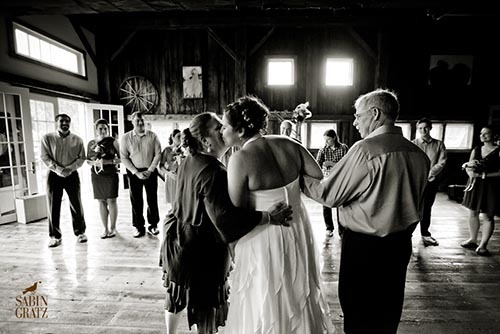 Every photographer brings a new perspective to weddings here on our grounds. 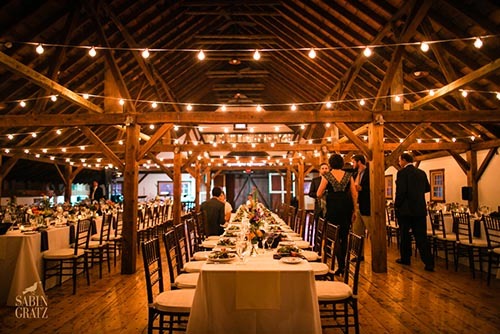 They help us see our rustic but elegant New England wedding locations in new ways. 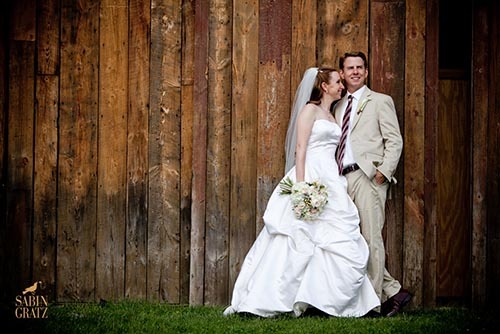 One of the things we love about photographer Sabin Gratz, is that he brings that fresh eye to each wedding he shoots here. We asked him to share with us some of the things a wedding photographer thinks about when approaching a venue like ours. As a wedding photographer, I am often asked about my favorite wedding locations. 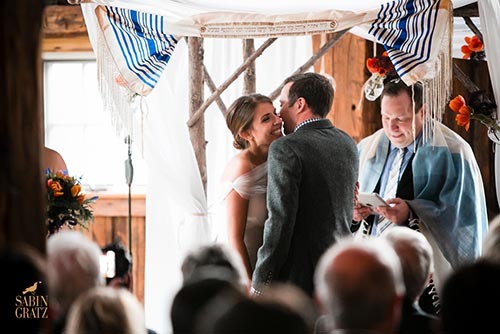 While I’ve photographed in some amazing places throughout the country and around the world, when it comes to weddings, my heart is still, and will probably always be, with my home state of Vermont. Wedding party by the Stonewell Barn. 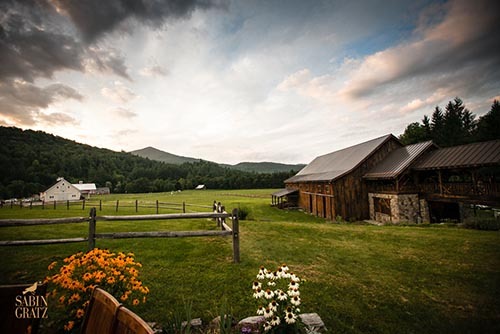 Riverside Farm exemplifies everything I love about shooting in the Green Mountain State. The property is set in expansive fields and meadows that give way to wooded hills in the distance. It’s a view reminiscent of my childhood growing up here and one that I find great comfort in working in. The several beautifully renovated New England barns and carriage houses are filled with some of the most wonderful details and textures. In photos, they all come together in a way that is effortless and authentic, while displaying the level of style that I feel weddings need. As a visual artist, I know that great aesthetics on a location have a lot to do with the success of my work, but as the owner of a business, I’ve also come to realize that the people who run and staff venues are often just as important. I have been lucky enough to work closely with the Riverside staff over the years and so appreciate the dedication and focus they have given to me, my team, and every couple that we have shot there. I honestly can’t say enough great things about Riverside Farm. 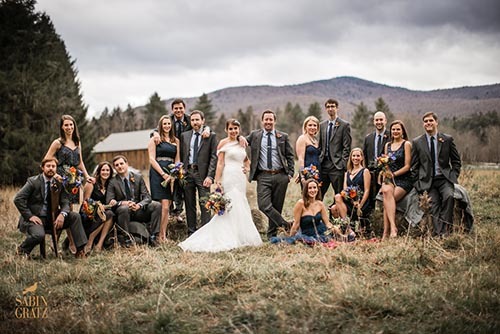 It is one of the spots that I first comes to mind when couples are looking for a place to get married in Vermont. Riverside has so many more wedding stories to tell, and I look forward to capturing them in the years to come. 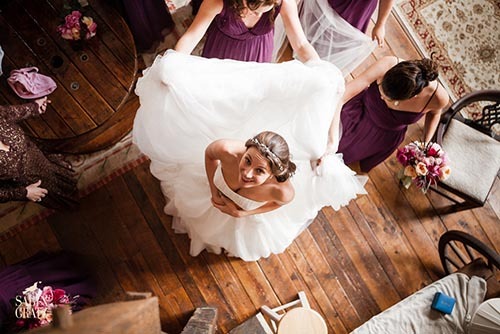 Bride gets ready in the bridal suite.